Before we get started, we must first answer “What is a Short Essay?”, and provide it’s true definition. A short essay is the most basic kind of essay that can be written. It typically consists of an introductory paragraph, three body paragraphs—each of which supports the main idea of the essay—and a concluding paragraph. However, sometimes a short essay can be even shorter than that! It really just depends on the context—i.e., what is being asked and what the word count limit is. The key to writing a short essay is to be concise: you should try to make your point as quickly and fluidly as possible while at the same time leaving nothing out that is important to your topic. Short essays, therefore, can be descriptive, persuasive, argumentative, informative or explanatory. To better illustrate that point, we’ll give you some short essay examples later on. Right now let’s dig into what it means to write a short essay. 1 How Long is a Short Essay? 4 What Do These Short Essays Have in Common? 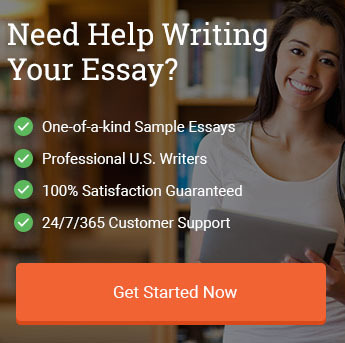 The short essay can range in word count but most will be between 300 and 900 words. That equates to roughly 1-3 pages of double-spaced 12 pt. font type. The short essay, in other words, is not very long at all! In fact, sometimes all you might have to do is write half a page. Therefore, short essays—obviously—are much different from longer research papers, which require you to look up information in outside sources, cite them and include them in a reference page. The short essay usually doesn’t need anything like that at all. It is most commonly used in class when a teacher gives students, say, thirty minutes to write on something they have read. This means that a short essay is basically like a brief response to some material presented in class. All it has to consist of is your thoughts—and that can be as much or as little as you can manage to produce in the given time frame. Most students won’t do much more than a page or two, which is sufficient for a short essay. Four pages would probably be pushing it! But, hey, if you have a lot to say and can say it effectively in that amount of time—go for it! The teacher might just be impressed with your ability to churn out so many words in so short a time. On the other hand, that might be overkill—so just keep in mind that 500 word target and try to keep it around there if possible. Because a short essay is, well, short, you shouldn’t spend a lot of time introducing your topic. Get right to the heart of it in as few words as you can. Try starting your introductory paragraph off with a bang—a good attention grabber that allows you to immediately launch into the point you intend to prove. Imagine you are passing a friend on the sidewalk of a busy city and you have only a moment to tell him the latest news—that such and such (whatever the point of your short essay is) is that way because of x, y and z! Grab him by the arms and don’t let him go: that’s the kind of mindset you should have when you start your short essay. Be brief, be bold, be practical: catch your reader’s attention immediately and then state your thesis along with a summation of the reasons that support it. That’s your introduction in a nutshell. The second paragraph will cover the first point that needs to be made. Say your thesis is that chocolate milk is better than strawberry milk. The first paragraph should cover the first reason it is better. Say something like—“It just looks better! From an aesthetic point of view, a glass full of chocolate milk has a much more inviting look to it than a glass full of some thick, pink, chalky-looking liquid that has a quite possible medicinal appearance to it.” Finally, close out the paragraph with a reiteration of your main point—something like: “And so that is one reason chocolate milk is better than strawberry milk. But guess what—there are more reasons as well!” Use a transitional phrase like the one in the last sentence before launching into your second paragraph. That helps keep continuity and flow and reminds the reader that while this paragraph was good there is definitely more to come. The way in which you structure your paper is important too: if you have three body paragraphs that support your topic, consider placing your best support last so that you have something to build towards. A short essay should act like a movie that has a beginning, middle and an end. You’ll want a climax at the end just like in a movie and by using your best supports last you can deliver just such a climax. Following your last body paragraph, throw in a quick conclusion that wraps it up, summarizes your thesis and briefly recaps the supporting points. Use your last sentence to say something that you haven’t said yet but that reinforces the main idea of your short essay and gives the reader a parting thought to consider. Now let’s look at some short essay examples. The best way to understand a short essay is to see one in real life. Here are a few examples of short essays that you can use to help guide you in your own writing. Notice how they start off with an attention grabber and then immediately launch into the thesis and the meat of the essay. No time is wasted, no words are minced. The so-called McMansion is supposedly an architectural wonder of the 21st century: it has bulk galore, usually lots of turrets, two dozen windows of different shapes and sizes, and a little bit of every style of architecture to ever come into existence. Inside, it has all the latest goings-on and trends that consumers who have a half million dollar line of credit can afford. However, this paper will show that the McMansions popping up all over the US are really just examples of bad architecture: they lack aesthetic value, they’re cheaply made, and the only two reasons that so many of them are produced are that 1) people want to flaunt their line of credit and 2) developers get big returns on this kind of product. The McMansion lacks aesthetic value. It is ostentatious, pretentious, gaudy, unbalanced, inconsistent, asymmetrical, and an amalgamation of various styles of architecture that clash with one another and suggest that the creator of the house took a bunch of architectural cultural representations, threw them in a blender, took the lid off and let what was inside fly out onto the front lawn. If form follows function, one can only surmise that the function of a McMansion is to drive everyone who sees it mad. However, that’s nothing compared to the fact that these “homes” which cost a small fortune actually use foam and fake parts to create an illusion of wealth. That’s right—McMansions do not even consist of authentic parts! The shutters serve no purpose other than decoration (they can’t close over the windows but are stapled to the outside walls which imitate stucco and siding), the pillars and columns do not actually do any load bearing (they are made of foam and are holding up plastic), and the roofs, which could easily be expanded resemble hunchbacked nubs that hide the airy nothingness inside. And if you think that’s bad, consider these two points: McMansions appeal only to people who think they have wealth and who want to flaunt this perception (having wealth and having a large line of credit are two different things—but that’s another story). Everyone else hates McMansions: they are tasteless and an insult to the kind of architectural genius that has produced true masterpieces over time. The second point is that the only other reason these “homes” get built is that they are lucrative for developers: yes, you heard it—developers foist these atrocities onto consumers who don’t know any better, selling them a bill of goods with all the latest and finest niceties inside while using discount product to create what is basically a fake house. They jack up prices and reap in the profits—and consumers pay because, obviously, anything that costs a lot of money surely has value! In conclusion, the McMansion is the worst type of architecture to yet hit the American shores. It is born of greed and illusions of grandeur. It serves no purpose other than to pad the pockets of developers and make consumers feel wealthy. For everyone else, the McMansion is an eyesore and should be condemned—or at least called what it is: a funhouse in a carnival created by madmen. The park is a place where kids like to play. There’s a playground, a basketball court, a tennis court, and a place where dogs can run around. There are also many trees that have grown up nice and big and tall all over the park, providing lots of shade and greenery. People come to picnic at the park, have celebrations, and just enjoy the weather. The park is a place that everyone enjoys. Kids enjoy the park because they have a lot to do there. They can run around and be free and fall down. They can climb walls and slide down slides. They can swing on the swings and run across play bridges. They can go across monkey bars or throw a ball with friends. They can move over to the tennis courts and play with rackets if they have them or bring a basketball and shoot hoops on the basketball court. Kids could practically spend the whole day at the park—and some of them do! Adults enjoy the park because it gives them a chance to relax and get away from it all. They can hang out in the shade under the trees, sit on the picnic or park benches, pack a lunch, bring the laptop and surf the Net, toss a Frisbee, walk the dog, or sit in the clubhouse and chat with friends while the kids run around and play. Adults can also bring a book, spread out a blanket on the grass and read in the sunshine while sipping on a refreshing ice cold beverage like lemonade or sweet tea. Teenagers enjoy the park because they can ride their bikes there and meet up with friends. They can rough house in the field, playing football or soccer, or they can play 3-on-3 or 5-on-5 on the basketball court. Tennis is always another option for teens, too—and so is Frisbee golf. Teens like to get away from it all just as much as adults do, and the park is so big and so accommodating that teens can find their own little place in the park where they won’t be bothered by anyone else. They can take walks along the trails through the woods or practice skating on the pavement. So you see, the park welcomes everyone! No matter who you are or what your style is, the park will have something for you. If your inclination is to relax in solitude and quiet, you can find a place for that at the park. If your desire is to have a blast with friends and have fun playing—guess what? The park is the place for that! The park literally has something for everyone and that is why parks are so beloved of so many different people. The thought of making sauerkraut can be daunting for some people—but making it is actually one of the easiest things in the world to do. All you need is a head of cabbage, a good sized Mason jar with an air lock lid, a knife and some salt. This paper will explain how to make sauerkraut using these ingredients and tools. So get ready to enjoy some fresh, homemade kraut because it is coming up! To make sauerkraut, the two main ingredients needed are cabbage and salt. A medium head of cabbage will do and a tablespoon of salt should be sufficient to do the trick. Go to a nice, clear area where you have lots of room and lay out your knife, cabbage, cutting board (if you have one), and a bowl that you can put your cabbage in as you cut it. Cut the head of cabbage into fours so that the sections are easier to dissect. Then take your knife and slice thin ropes of cabbage until that quarter is all finished. Pick up the pile of thinly sliced cabbage and toss it in the bowl with a little bit of salt. Use your hands to knead the salt into the cabbage: you can squeeze the cabbage in your halts to help mix the salt in better. You’ll notice the salt draws liquid out of the cabbage and a nice pool of juice should start accumulating in the bottom of the pool. This is the brine and you will want to use it later when you put your cabbage in the Mason jar—so don’t throw it out! Cut the next quarter in the same way and toss it in the bowl with the first section of sliced cabbage. Use a little bit more of your tablespoon of salt to get the brine flowing out. You can go ahead and cut up the other two sections as well and toss in the rest of the tablespoon of salt now. Mix it up real good and squeeze the cabbage in your hands over and over till a big puddle of juice is seen at the bottom of the bowl. The cabbage will become a little softer in your hands, which is a sign that the salt is doing its job. Now get out the Mason jar. Before throwing the cabbage and brine inside, you’ll want to make sure your jar is sterilized. So clean it out real well. You don’t want any extra bacteria in the jar when you seal it up: the only bacteria that should be in the jar is the good bacteria that is naturally found on cabbage—which is what will turn the cabbage nice and sour once everything is situated in the jar. Take the clean jar and start filling it with cabbage out of the bowl. Be sure to press the cabbage down firmly into the jar so that there are no big air pockets. Once the jar is three-quarters to four-fifths full, you can stop. Pour the remaining brine from the bottom of the bowl into the jar. The brine should cover the top of the cabbage in the jar—but don’t worry if it does not. Over the next few days the salt will leech out more juice so that the brine rises. (That’s why you want to leave a little bit of room in the jar). Screw the lid on tight and fill the air lock halfway with water so that the gas let out from the cabbage can escape but no air from outside can get in. Place the jar in a cool spot in your house and put a bowl under it in case some of the brine rises and spills out the lid. This can happen from time to time and it’s better to collect the excess brine in a bowl than have to clean it up from the floor! Let the jar sit where you place it for at least a week. You will notice, if you check on it in a few days, bubbles forming at the top of the brine in the jar. This means it’s working! After a week, you will have some nice, tasty sauerkraut full of good bacteria for your gut. You can let it sit for longer if you want: some people let their kraut go for a month before breaking into it—but a week really is sufficient (especially for those of us who can’t wait that long). Once you open the kraut, keep it in your fridge where it will stay good for a number of months. What Do These Short Essays Have in Common? These short essays have a few things in common. First, they all get right to the point and introduce the main idea in the beginning of the introduction. The essay topic is clearly announced and the reader is able to see what lies ahead. Second, the body of the essay is concise and stays on topic. There is no deviation from the intent of the essay, as it is explained in the introduction. Third, the conclusion of each essay summarizes the main idea and adds a compelling closing that allows the essay to end smoothly and refreshingly. Short essays can be fun, informative, inventive and persuasive. The point is this: identify early on what the aim of your short essay is—then direct all your powers towards achieving this aim. If you can do that, your short essay will live and be a great success. Our writers can help provide you with a great example essay that you can use as a guide when you write your own. Our model papers have been assisting students for years—no matter the subject, length, or parameters. We take the instructions you provide us and develop a 100% original essay based on the precise orders given by you. That way you can see a real life example of how an essay should look—one that pertains to your exact situation. Do you have to write an essay on sharks? Send us the instructions and see how we would do it. Do you have to write an essay on the Bard of Avon? Order today and let us show you the way. Learning by example is a great way to develop your own writing—so don’t wait: come to us and let us give you the custom example essay you need. Hopefully, these short essay examples and the description of how to format a short essay given above will help you write your own paper! As the examples should show you, a short essay doesn’t have to be a set number of words—the important thing is to get as much information out as quickly and efficiently as possible. Avoid repeating yourself, say what you need to say in a way that flows and keeps the reader engaged, and get out! The short essay is all about calibrating your thoughts down to a tight, narrow spectrum: keep things focused and on task. There isn’t room to be side-tracked by tangents. Keep it simple: use the Introduction/Body/Conclusion format—five paragraphs total—and everything will turn out fine. Remember to state your thesis in the last line of the opening paragraph (this will be your main point). Then use the three body paragraphs to support your main idea, each paragraph devoted to a single segment of the main idea. Then restate your thesis using new words in your conclusion and summarize your overall thought. Keep your word count around 500 words if possible, but if you have to go over, no worries. Anything under 900 words should still be considered short. The key is to keep it focused. That’s it! Good luck! "Short Essay: The Definitive Guide to Writing (2019 Update)." Aceyourpaper.com. Student Network Resources Inc, 29 June. 2017. Web. 19 April 2019. Student Network Resources Inc. "Short Essay: The Definitive Guide to Writing (2019 Update)." Aceyourpaper.com. https://www.aceyourpaper.com/essay-writing/short-essay/ (accessed April 19, 2019).